Did you know that applying mehndi is not just a way of making your hands look ‘fancy’? And sindoor isn’t just meant to be applied as a wedding ceremony custom? Gosh, the mysteries surrounding Indian wedding rituals! Whether we yawn when our uncles drag us to the wedding mandap for holding the dupatta for an hour or cringe to go near the bride to avoid getting stuck with yet another boring riwaaz, you might me amazed at what these rituals stand for. So, for all you curious cats out there, read on to know more and get fascinated. Why apply mehendi on the hand and feet? These days, mehendi function is a very common pre-wedding practice held at every other Indian wedding. It is believed that mehendi has a certain medicinal benefit to it, which is definitely beneficial to the bride, especially on her wedding day. Wedding is usually an extremely stressful ceremony, which can be a cause of stress. Mehendi is a very strong medicinal herb, which helps curb the level of stress to a great extent. When applied, it cools the body and the nerves and acts as a great stress buster. We’ve seen our mothers, grandmothers apply sindoor all the time but never really thought that through or questioned it. All married woman are supposed to apply sindoor. The ingredients that go into preparing the sindoor have medicinal values in them, which help control your body temperature and blood pressure. They also play a significant role in boosting your libido. That’s also one of the reasons why widows are forbidden from applying sindoor. Why do brides wear toe-rings? Just because a woman is married, does not necessarily state that it is the only reason they wear a toe ring. If you’ve observed closely, toe rings are generally worn on the second toe. This is mainly because there’s a particular nerve in that toe, which connects directly to the heart. And most of the toe rings are made of silver because silver is a good conductor of energy and that the energy from the earth is passed onto the body through the toe ring. Fascinating, isn’t it? It is believed that the spot in between the eyebrows is an important nerve point in the human body. Thus, applying kumkum or tilak or bindi helps in preventing any loss of energy and controls your level of focus and concentration, which is extremely important as you will require oodles of energy to get through your wedding day. We’ve seen the doctor check for the pulse beat for any illness. Bangles are worn by woman on every occasion. These bangles help in good blood circulation. And since bangles are usually ring shaped, they help in trapping the positive energy that is present in the body. 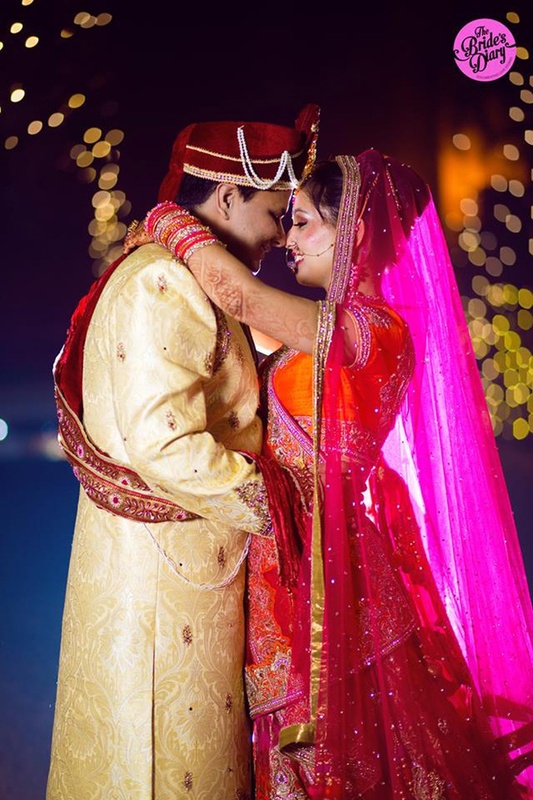 The kanyadaan ritual is a very emotional moment for the bride and her parents, especially her father. A father has shared a very beautiful and close bond with his daughter, all his life. At a wedding, the groom is considered to be an incarnation of Lord Vishnu and the bride is considered to be a form of Goddess Lakshmi, a goddess of wealth and prosperity. Hence, for a father of the bride, it symbolizes that he is now transferring his daughter’s responsibility to the groom; along with the ‘wealth and prosperity’ that was till now theirs. At every Hindu wedding, the bride and groom take saat pheras around the pavitra agni. The holy fire at any Hindu wedding holds special importance. Fire as an element, is considered to be a strong cleanser of anything impure and brings in positivity. The combination of ghee, rice and wood put into the fire and the smoke emerging from it, acts as an effective purification agent. Woman wear nose ring especially on their wedding day and post-wedding because it helps in regularizing your breath. The mangalsutra is a thread that binds the bride to her husband for a lifetime! The mangalsutra is usually made of gold, and gold is a metal that helps in good blood circulation and controlling pressure to a large extent. Strange as it might sound, the mangalsutra is always said to be kept hidden because gold constantly touching the body helps in generating positive benefits. So, do you still have this misconception that Indian wedding rituals don’t really signify anything? Well, definitely not anymore! The next time you attend any wedding, make sure you observe these rituals closely, now that you’ve a deep understanding and idea about it. You could also enlighten others around you with the above piece of information and watch them get all surprised and startled!